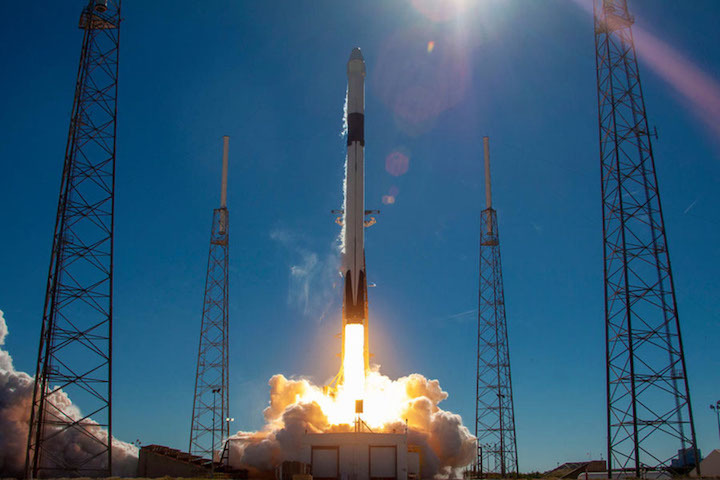 A SpaceX Dragon cargo spacecraft is scheduled to launch no earlier than late April on a Falcon 9 rocket from Space Launch Complex 40 at Cape Canaveral Air Force Station (CCAFS) in Florida on the company’s 17th Commercial Resupply Services contract mission for NASA. Media prelaunch and launch activities will take place at NASA’s Kennedy Space Center and neighboring CCAFS. A SpaceX Falcon 9 rocket will launch a Cargo Dragon spacecraft to deliver the next shipment of supplies and equipment to the International Space Station. This is the 17th SpaceX mission under NASA’s Commercial Resupply Services contract. Witness liftoff from the main visitor complex (included with daily admission), or from viewing locations through NASA’s gates with a Launch Transportation Ticket (LTT), which may be purchased in addition to daily admission. At this time, no LTTs are available for this launch. If LTTs become available at a later date, tickets are announced and sold as soon as possible after a confirmed date and time is announced. 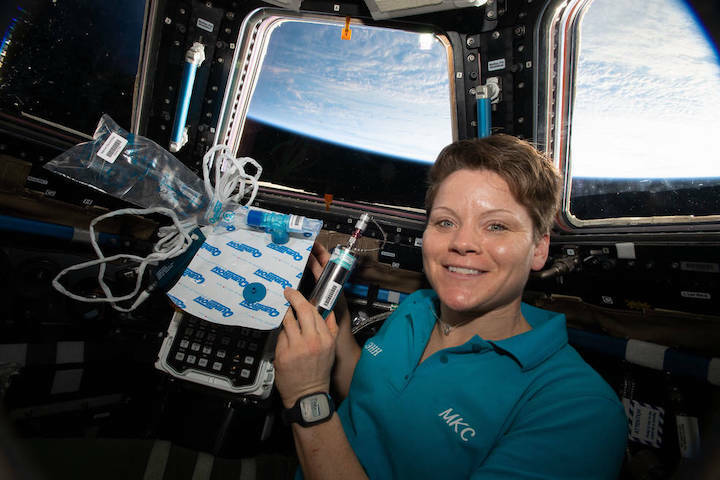 Expedition 58 Flight Engineer Anne McClain of NASA is pictured in the cupola holding biomedical gear for the Marrow experiment. The study measures fat changes in the bone marrow before, and after exposure to microgravity. In addition, this investigation measures specific changes of red and white blood cell functions. Bone marrow fat is measured using magnetic resonance. Red blood cell function is measured with a breath sample analyzed with a gas chromatograph, and white blood cell function is studied through their genetic expression. The planned launch of a SpaceX Falcon 9 rocket from Cape Canaveral with supplies destined for the International Space Station has been pushed back to the last day of the month, NASA confirmed Friday. Teams were targeting early next Friday, April 26, for liftoff from Launch Complex 40 with an uncrewed Dragon spacecraft, but NASA opted to push the mission back to 4:22 a.m. Tuesday, April 30. Launches to the ISS require instantaneous windows, so it must launch at that time or be delayed to another day. 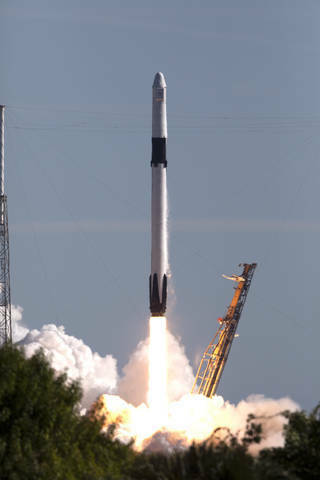 Space Coast residents will get an early wake-up call that morning, too, when the rocket's 156-foot-tall first stage returns to land at the Cape's Landing Zone 1 and generate its signature triple sonic booms along the way. The booms are generally harmless to humans and infrastructure. Packed into dragon and its "trunk" will be thousands of pounds of science experiments and supplies for the crew of the ISS. When it departs the station about a month later, it will return with scientific results and waste no longer needed on the station.